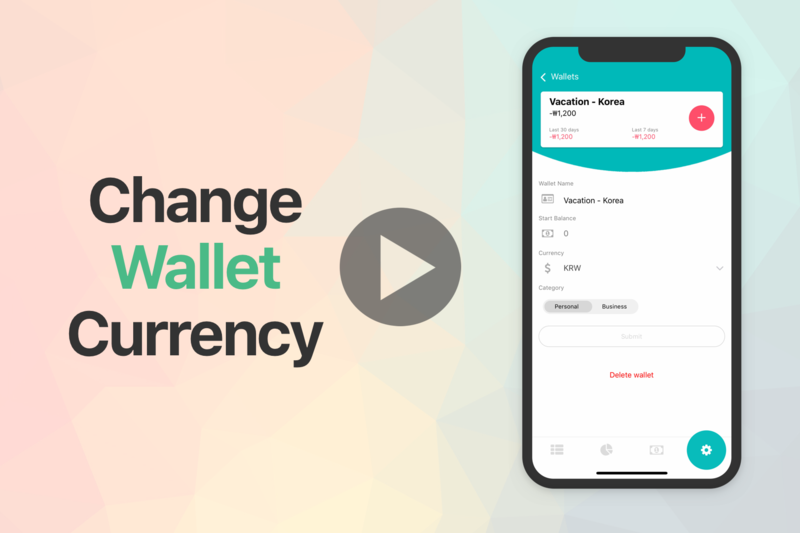 If you’re ever going overseas on a holiday, it’ll be a good idea to change the currency of just that ‘Holiday wallet’ in our case, we’ll change the ‘Vacation – Korea’ wallet to the Korean Won currency. Step 1: Tap on the wallet you’ll like to change. Step 2: Tap on the settings icon on the bottom right. Step 3: Tap on currency, select 1 our of the 129 currencies available. Step 4: Hit submit. Done! Go back to the Wallets home page and check to see if it’s updated.